What Companies Offer the Best Plumbing Fixtures? 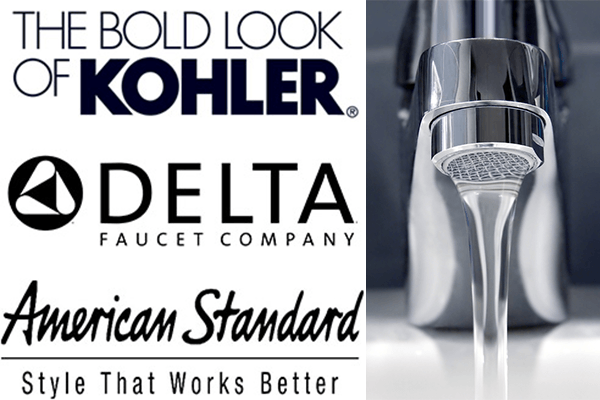 We highly recommend products from Kohler, Delta and American Standard. Kohler, because they are on the leading edge of design and technology and provide a single level of quality regardless of the price you pay for the equipment. Delta, because it’s one of the leading companies over the years introducing technology fixture design as well as new innovations like the H2Okinect® Technology that sculpts water into a unique wave pattern. American Standard, because they continue to be unmatched during their legacy of quality and innovation for more than 140 years. If you like the fact that we have a 5 star rating on Facebook, do us a favor and like our page, THANKS! The price we quote is the price you’ll pay! Guaranteed. A well thought through plumbing solution to allow you to stay in your home longer.